The latest news to come out of Silicon Valley shows once again that they dropped that cloak a long time ago. Just last week, Amnesty International held an action in Google’s worldwide offices. The human rights organization called on the tech behemoth to immediately stop the development of a search app for the Chinese market which would make it impossible for the 1.6 billion Chinese to search for terms like 'human rights'. On 28 November, Google employees published an open letter expressing their support for the Amnesty action with the hashtag #Drop Dragonfly. Dragonfly is the provisional name of a search app for the Chinese market that blocks certain search terms. The letter states, among other things: "We are Google employees, and we support Amnesty International's call to Google to stop the" Dragonfly "project. Many of us have started working at Google where we endorse the values of the company, the earlier point of view regarding Chinese censorship and surveillance and assuming that Google values values more than making a profit. After a year of disappointments, including Project Maven, Dragonfly and Google's support for abusers, we believe this is no longer the case. That's why we speak out now. " More than five hundred employees have now signed the letter. Amnesty praised the courage of Google employees who expressed their concerns and calls on Google to protect whistleblowers and others who speak out. 'Project Dragonfly' would cause irreparable damage to the confidence that internet users have in the world's largest search engine. Moreover, it would create a dangerous precedent in the area of tech companies that allow governments to violate rights. Amnesty has launched a worldwide petition, calling the human rights organization Google CEO Sundar Pichai not to launch the search app. Amnesty supports Google employees who publicly criticize Project Dragonfly by demonstrating at Google offices. Internet censorship and surveillance are nowhere near as strict in the world as in China. In 2010, Google withdrew from China. Ever since then, the repressive policies of the Chinese have only become stricter. It is not clear how Google can guarantee human rights in such an environment. Google's search app not only blocks search terms like 'human rights', but also makes it easier for authorities to monitor the search terms that people enter. 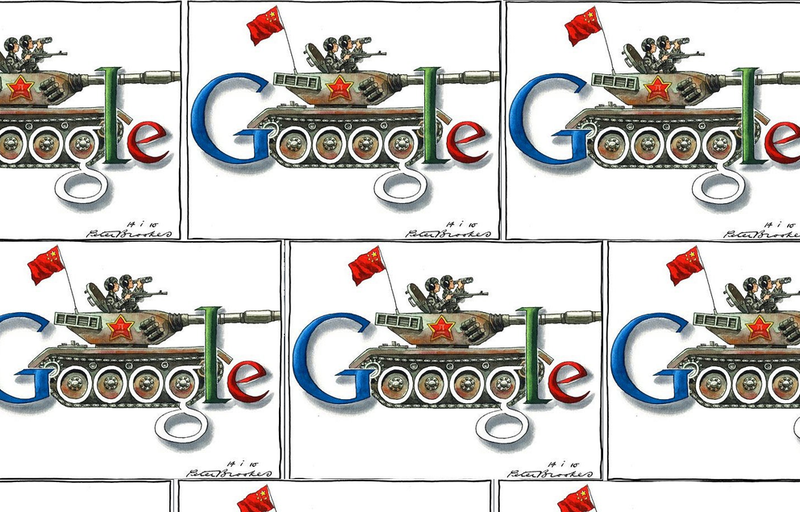 This means that there is a real danger that Google will help the Chinese government to arrest or imprison people. Also, with the launch of Project Dragonfly, the risk would arise that China's approach to the web would be legitimized, with the government having absolute control over what information citizens have at their disposal and having insight into all their online data. Imagine what it would be like if the US or Europe would launch a similar internet control system. george Orwell had it 100% correct, and we are sheeple to Google's "people". duckduckgo is a better alternative. Google are money grubbing filth. when the revolution comes will will remember those who betrayed freedom.